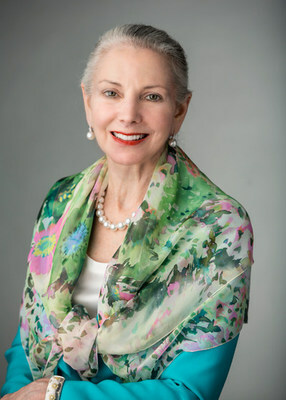 BETHESDA, Md., March 20, 2019 /PRNewswire/ -- The Board of Directors of Marriott International, Inc. (NASDAQ: MAR) said today it has appointed Margaret M. McCarthy, Executive Vice President at CVS Health Corporation, as an independent director of the company, effective March 19, 2019. Ms. McCarthy will also be included in the company's slate of nominees for election at Marriott's upcoming 2019 Annual Meeting of Stockholders. As Executive Vice President at CVS Health, Ms. McCarthy is a leader in the company's technology transition following its acquisition of Aetna. As previously announced, Ms. McCarthy is slated to depart CVS Health in May. She brings substantial experience in data management and security. "We're thrilled to welcome Meg to our Board," said Arne Sorenson, Marriott International President and Chief Executive Officer. "Her experience and expertise promise to make Meg a terrific addition to the Marriott Board. I look forward to her insights and leadership as we work to build Marriott's global hospitality brand." Ms. McCarthy joined CVS Health through its acquisition of Aetna Inc. in 2018, where she had been Executive Vice President of Operations and Technology since 2010. At Aetna, she also served as the company's Chief Information Officer and Head of Business Solutions Delivery. Prior to joining Aetna in 2003, she was a senior Information and Technology executive at Cigna Corp., Catholic Health Initiatives and Franciscan Health System, and a Partner at Ernst & Young. Ms. McCarthy holds a bachelor's degree from Providence College and a master's degree in public health, hospital administration from Yale University. She served in the U.S. Navy Medical Services Corps as a Lieutenant at Bethesda Naval Hospital and in the U.S. Navy Reserves as a Lieutenant Commander. Marriott's Board of Directors engaged Russell Reynolds Associates to assist in identifying and evaluating potential nominees. Marriott's Board will nominate these 14 directors as its recommended slate at the company's upcoming Annual Meeting. Marriott International, Inc. (NASDAQ: MAR) is the world's largest hotel company based in Bethesda, Maryland, USA, with more than 6,900 properties in 130 countries and territories. Marriott operates and franchises hotels and licenses vacation ownership resorts. The company's 30 leading brands include: Bulgari®, The Ritz-Carlton® and The Ritz-Carlton Reserve®, St. Regis®, W®, EDITION®, JW Marriott®, The Luxury Collection®, Marriott Hotels®, Westin®, Le Méridien®, Renaissance® Hotels, Sheraton®, Delta Hotels by MarriottSM, Marriott Executive Apartments®, Marriott Vacation Club®, Autograph Collection® Hotels, Tribute Portfoliotm, Design Hotelstm, Gaylord Hotels®, Courtyard®, Four Points® by Sheraton, SpringHill Suites®, Fairfield Inn & Suites®, Residence Inn®, TownePlace Suites®, AC Hotels by Marriott®, Aloft®, Element®, Moxy® Hotels, and Protea Hotels by Marriott®. The company now offers one travel program, Marriott Bonvoytm, replacing Marriott Rewards®, The Ritz-Carlton Rewards®, and Starwood Preferred Guest®(SPG). For more information, please visit our website at www.marriott.com, and for the latest company news, visit www.marriottnewscenter.com and @MarriottIntl. Marriott will file a preliminary proxy statement with the United States Securities and Exchange Commission (the "SEC") in connection with the solicitation of proxies for its 2019 annual meeting of stockholders. Marriott will furnish the definitive proxy statement to its stockholders, together with a WHITE proxy card. STOCKHOLDERS ARE STRONGLY ADVISED TO READ THE PROXY STATEMENT BECAUSE IT WILL CONTAIN IMPORTANT INFORMATION. Stockholders may obtain a free copy of the proxy statement, any amendments or supplements to the proxy statement and other documents that Marriott files with the SEC from the SEC's website at www.sec.gov or Marriott's website at www.marriottnewscenter.com as soon as reasonably practicable after such materials are electronically filed with, or furnished to, the SEC. Marriott, its directors, its executive officers and its nominees for election as director may be deemed participants in the solicitation of proxies from stockholders in connection with the matters to be considered at the 2019 annual meeting of stockholders. Information about certain of Marriott's directors and executive officers is set forth in Marriott's Proxy Statement for its 2018 Annual Meeting of Stockholders, which was filed with the SEC on April 4, 2018, which is available at the SEC's website at www.sec.gov or Marriott's website at www.marriottnewscenter.com.